When was the last time you gave some thought to where your food comes from, how it grows, played in the dirt or made mud pies? Have you ever heard of CitySprouts? They encourage this behavior and I spent a few days with them learning why it’s still okay to play. Imagine you take a handful of soil and tell your kid to make a mud pie. Ask them what type of pie they made – blueberry, cherry, apple? Then they get to decide what type of seed to plant – tomato, basil, cucumber, pepper. Next up, they can bring their seed to life with water, sunlight and nurturing. Eventually, their crop finds its way into the kitchen for some delicious snacks and meals – tomato and basil, cucumber salad, bar-b-que’d zucchini. Do you see where I am going? Bringing “sprouts to the city,” gardens to city school kids, is so beneficial for kids. 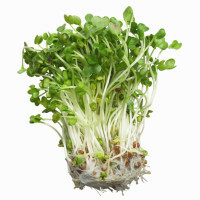 Who doesn’t want their kids to sprout up healthfully? It provides them with physical activity outside connecting them with nature. They learn to work cooperatively, helping each other, and working as a team. It teaches children where food comes from and often sparks interest to try new fresh foods that are unprocessed and naturally good for you. It also provides life lessons and the parallels between taking care of a garden and taking care of their own bodies. For example, just as a plant needs proper hydration, food, and nutrients, they do too. The goal of CitySprouts is exactly this; educating kids and parents about the origins of their food. They emphasize what’s great about the outdoors in a tangible way. Kids can learn about planting and how to find the ideal place to plant in a backyard or porch stoop pots. They learn about soil, how to get the most nutrients for their plants and composting. Having children take part in composting is a great way to play with worms, recycle food scraps and bring plenty of nutrients to crops. We can’t forget about hydration. Water is so important for nurturing a garden. Water is vital from the moment seeds are sown. Plants need water for holding themselves up, otherwise they wilt. This is similar to humans when they are dehydrated; they have low energy, which is equivalent to a wilting plant. We, as adults benefit from gardening as well. We get exercise from gardening by bending and lifting – in my personal training world that is called “I lift things up and I put them down.” We get a chance to de-stress on a warm sunny day when the air is filled with pleasant scents from all kinds of vegetation. We learn patience, as any gardener can tell you, it does not happen overnight. On the nutrition side of gardening, we get freshly picked fruits, vegetables, and herbs packed with potent antioxidants. Freshly picked produce allows for better flavor and more nutrients. Produce tends to lose its flavor and nutrient value when instead of choosing local; you buy produce being shipped from 3,000 miles away. By creating school gardens, CitySprouts is creating a great environment to provide invaluable learning experiences while building a foundation for a healthy relationship with food for children. This healthy relationship early on in a child’s life may help to combat our childhood obesity epidemic. Go ahead, get your hands dirty again, it’s still okay to play with dirt. Are you ready to get something started in your town? If interested in getting a garden growing, check out these links: Starting a Community Garden Healthy Food Growing Healthy Kids and read to your kids about gardening with some of the garden-themed books. Find out what programs are available in your school district and community and get involved. Share your program on SuperKids Nutrition Facebook Page to get the word out and inspire others to help grow “sprouts” in their cities! « Easy as 1-2-3: Get Your FAMILY Fit and Healthy! Melissa, thank you for sharing CitySprouts. As a dietetic intern, this is the first time I’ve learned about the program, which is great because it’s both educational and interactive. I used to teach at a preschool that had a rooftop garden, and I could really see the excitement in the kids when they discovered a new sprout and as they watched their garden flourish day by day. In class, we prepared the food grown in the garden, and the kids were always eager to taste each food that was harvested. Many people may think that growing a garden in the city is “impossible” but this program defeats that myth. Not only does this program reach kids, but it is a great educational outreach tool for parents and family members. Healthy eating in kids is very much dependent upon the lifestyle of parents and families. I also like how the program explains the relationship between nurturing the plants just as we should nurture our own bodies. What a great concept! In the future, I would like to become involved in this type of community outreach program. Again, thanks for sharing!